The Himachal Pradesh government has come forward with an innovative plan to develop women’s condition and create opportunities for them. For the same, the Sashakt Mahila Yojana scheme has been initiated by the state government. The scheme has been decided in a cabinet meeting that has been held recently. It has also been headed by CM Jay Ram Thakur. It is further known that Himachal Pradesh government has planned other social welfare programs to improve the condition of society. The main aim of the scheme is to look after women’s welfare and make opportunities available for them in state under various departments. It also looks after the social and economic growth of the state so that every section of society can be improved. Under this scheme, the state government will appoint 1 women development officer along with two posts of district coordinator. In addition, a government pharmacy college will be organized in Mandi district. Further, the state government has sanctioned the establishment of Sub Tensil in Mandi district. This will include 9 patwar circles covering a population of almost 12440 inhabitants of the state. Special training program – Other than improving the condition of women with the help of this scheme, it also aims at enhancing women’s skills by arranging necessary training for them. This will broaden scopes for women. For the purpose of women’s condition, the cabinet committee has created opportunity at Yashwant Nagar in Sirmaur district to start a police force. This force will be operated by Police Station Rajgarh. In addition, 48 villages will be benefitted from this scheme as 7 posts of different categories will be organized. The Himachal Government will organize police posts at Shoghi in Shimla district under Boileaugunj Police Station. 54 posts under Junior Office IT Assistant have been sanctioned by the Himachal Pradesh government that aims at women and children welfare on a contractual basis.In addition to this, opportunities for10 Junior Office posts will be created under the supervision of the industrial development. Further, the government has sanctioned 3 creche workers along with 15 posts of crèche help assistance for looking after the condition of a child under National crèche scheme under different districts. Ayurvedic health organizations will be initiated by village Sain in Kangra district under the supervision of Cabinet committee. It has been set up in Bharata Gram Panchayat of Thural tehsil. Posts will be created by the state government that will help to run the health centers smoothly. Under Himachal Pradesh prisons and correctional department, 84 posts for warden need to be filled on a contractual basis. 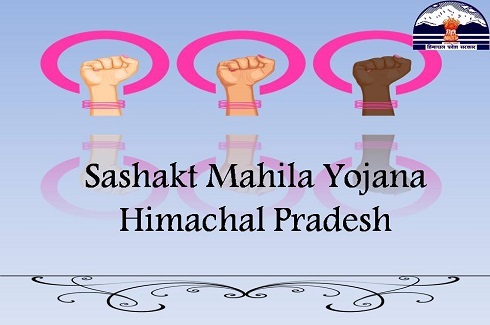 These opportunities have been created for the wellbeing of women in Himachal Pradesh. Different posts of teachers of class III and class IV have been created by the government in the HP technical University located in Hamirpur. This will definitely help to progress academic condition and better education to the students. Thus, Himachal Pradesh government has taken various initiatives and as a result of this, it has made opportunities for different posts in government department to look after women and children’s welfare all together.